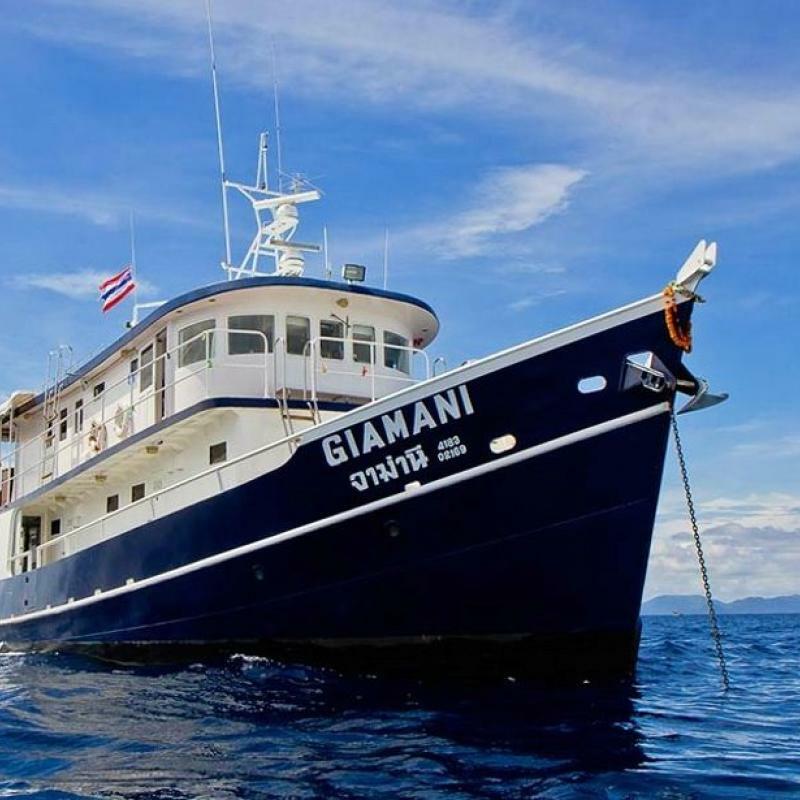 Diving around Sangalaki & Kakaban, looking for Manta Rays, Turtles & More! 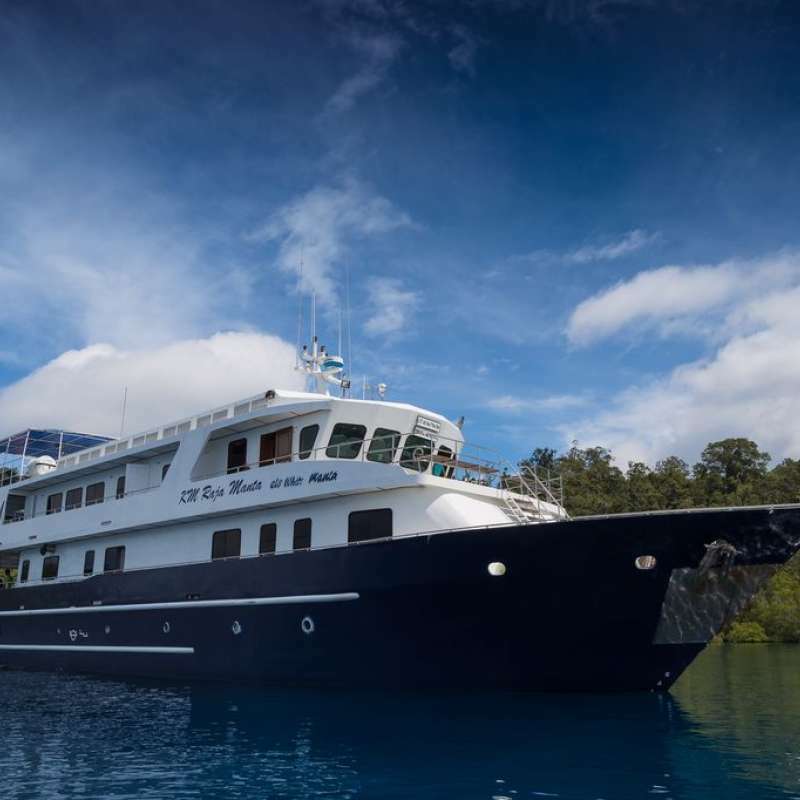 Diving around Maratua Island, Big Fish and hunting Action, sightings of Thresher sharks possible! 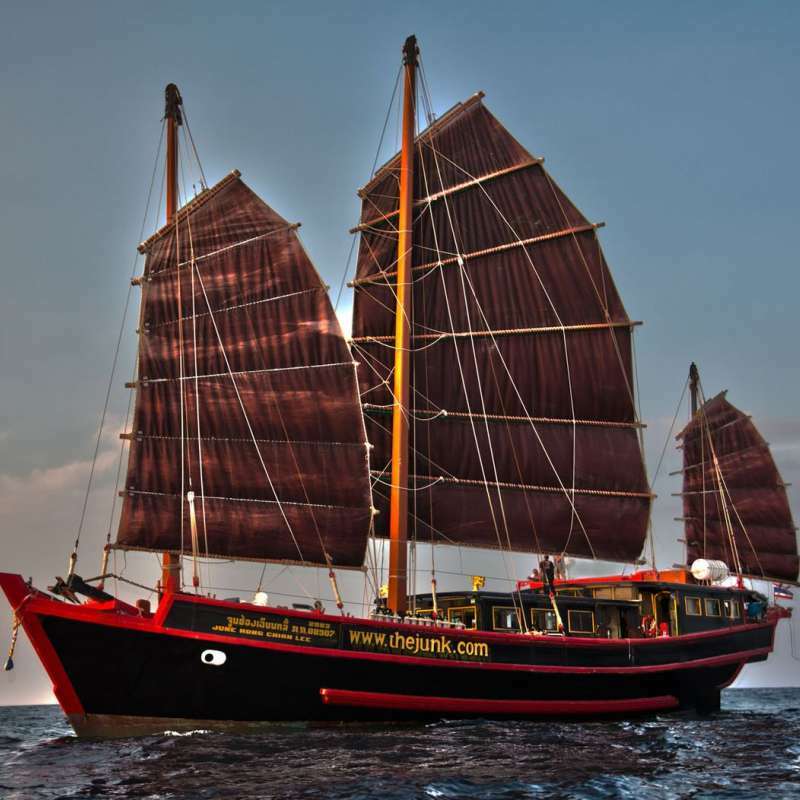 Diving around Sangalaki Island, then sail back to Tg Batu Port (sailing time 3 hours). Last night sleeping on Raja Manta in the harbour. 6am-12pm. Check out after breakfast, farewells, and transfer to local hotel or airport. Transfer to airport or local hotel. 5pm; arrival from Jakarta, Ujung Pandang, or Manado to Sorong. 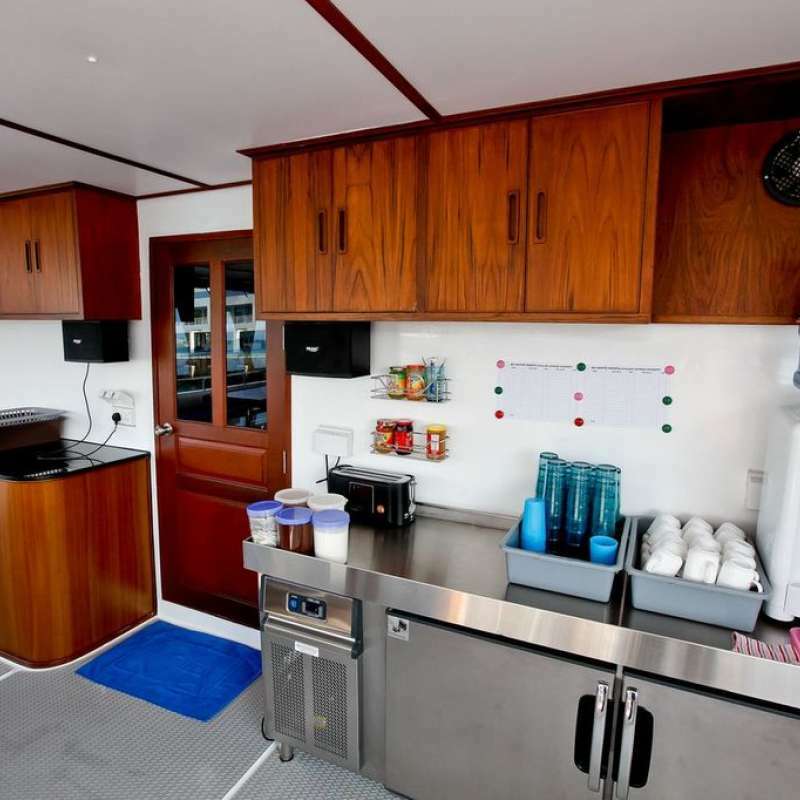 Our staff will meet you at Sorong Airport and take you to the awaiting Raja Manta. Depending on arrival time we can do check dive. Blue Magic, Mioskon. Then sail back to Sorong Port. Plenty of time to wash & dry equipment, have lunch, and rest & relaxation. 5am-12pm. Check out after breakfast, farewells, and transfer to airport. Departure from Sorong to Manado/ Makassar/ Jakarta/ Denpasar. Our staff will meet you at Ambon Airport and take you to the awaiting Blue Manta. 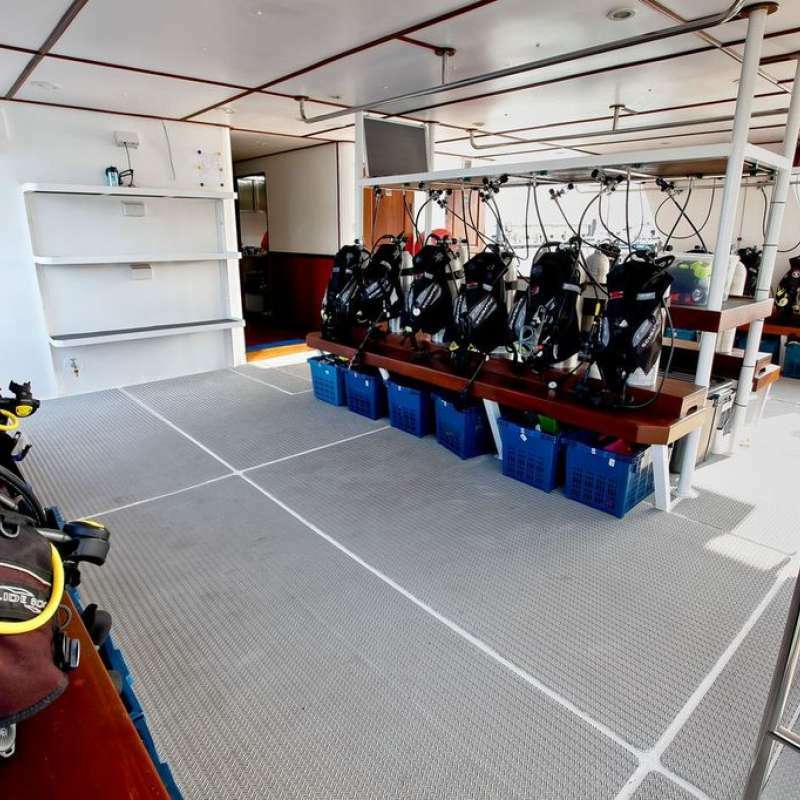 Depending on arrival time, we can do Check dive plus night dive in Ambon Bay. After critter dive(s) we sail overnight to Banda. 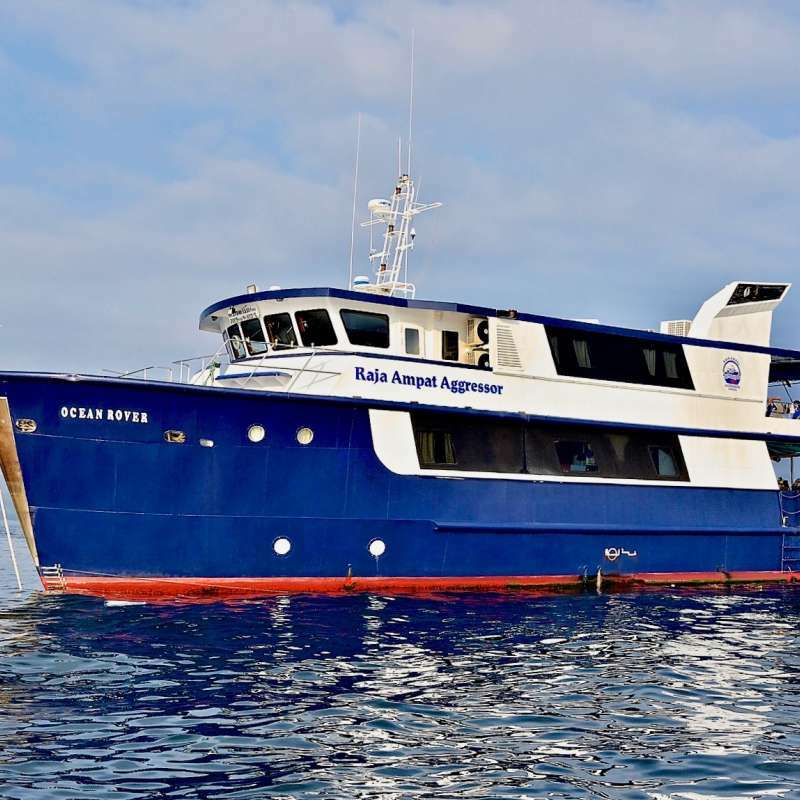 Banda Island; Palau Ai, Batu Kapal, Karang Hatta, Pulau Keraka; excellent visibility, fantastic coral coverage and tremendous numbers of fish along with potential Hammerhead sightings. Nusa Laut or Ambon Bay. 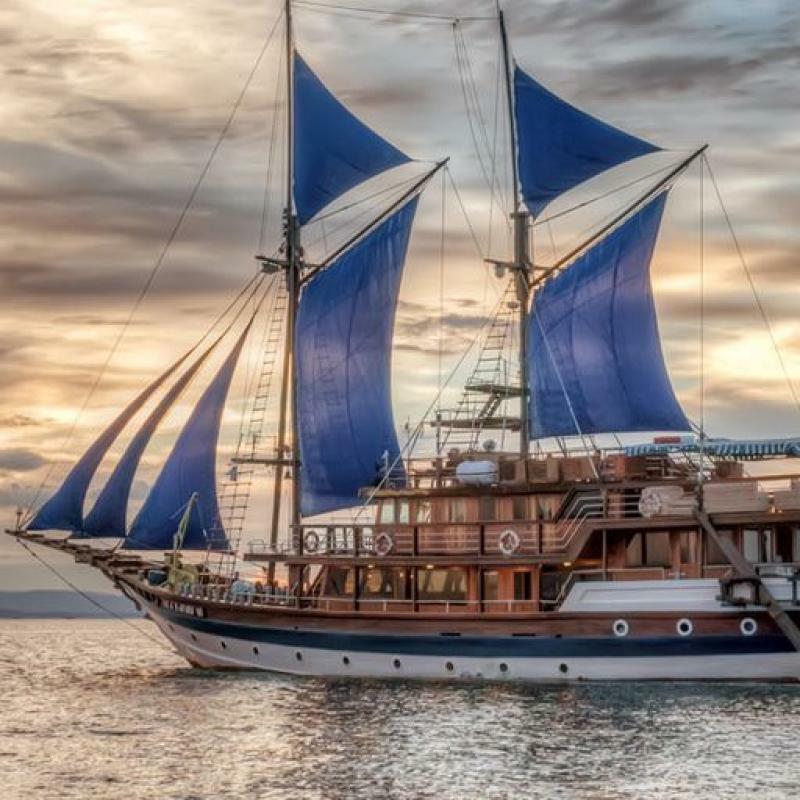 Sail back to Ambon. 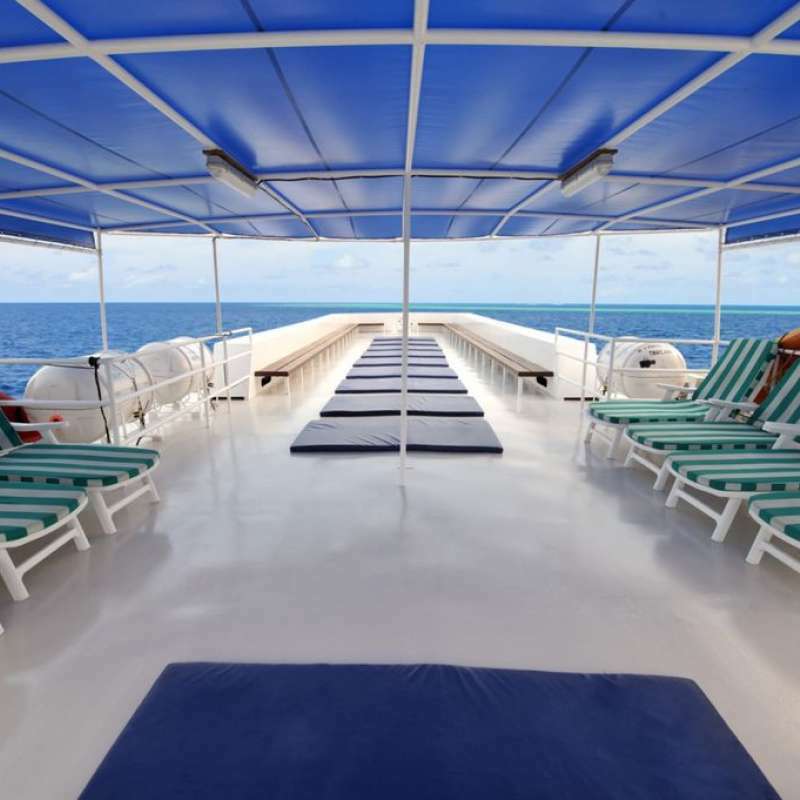 This was our first trip on the White Manta. Our dive trip was outstanding, very impressive operation and professional crews....we will be back for more.... Highly recommend to new and seasonal divers. And the food were all amazing. 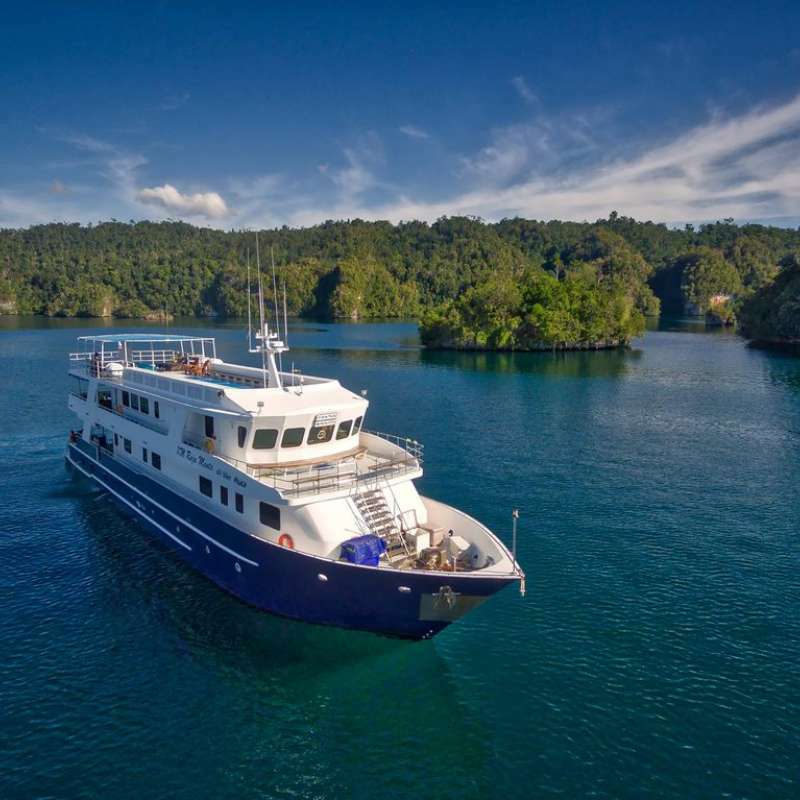 If you're looking for a great liveaboard dive experience, then White Manta is the best choice. With great crew, lovely food, a fabulous boat and well organised trips, what more could you ask for?! A massage? You got it! We always have a great time with the White Manta crew and looking forward to our next trip!